Why is everything I make so ugly? At least it tastes good. Wash Brussels sprouts, cut off stem, and half each sprout. Toss in the olive oil, rosemary, and garlic salt, and roast until crispy. Once Brussels are done roasting (leave the oven on! 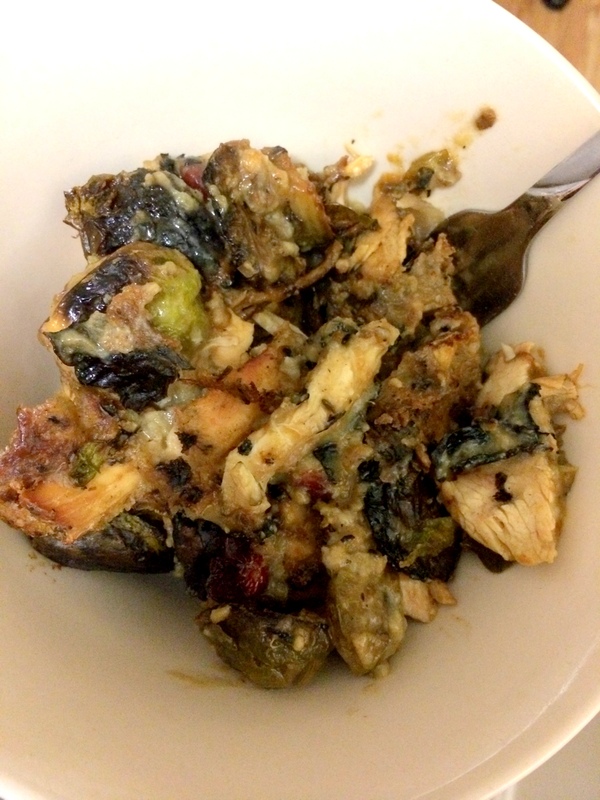 ), combine them in a bowl with the turkey, stuffing, gravy, and cranberries. 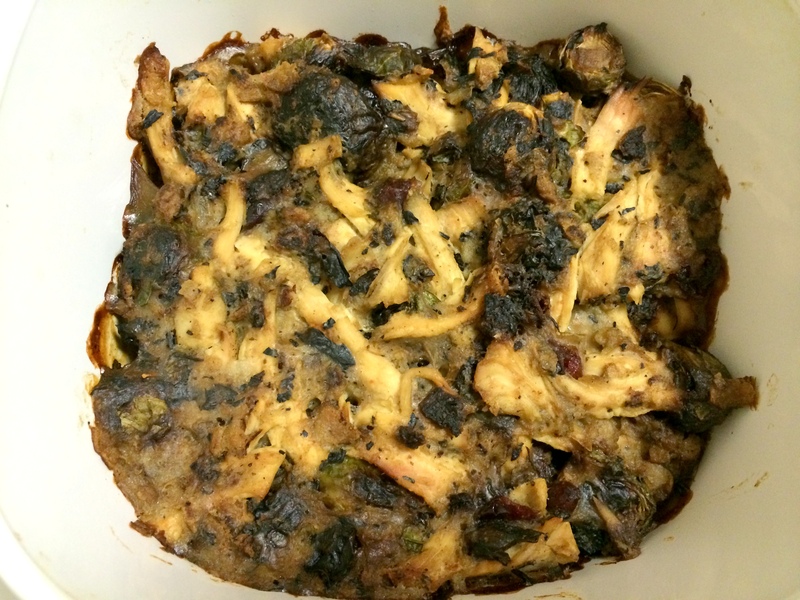 Pour mixture into a casserole dish, and cook in the still-on oven until crispy on top. Enjoy Thanksgiving all over again! This was absolutely delicious and the dried cranberries really made it. I’m so glad I decided last minute to add them! Once again, you can use any gravy, but I really did love the mushroom version from Pacific Foods. Happy gobbling! How do you like to eat Thanksgiving leftovers? Have you ever tried a vegan gravy?